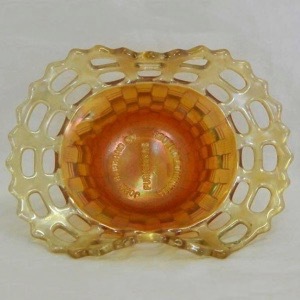 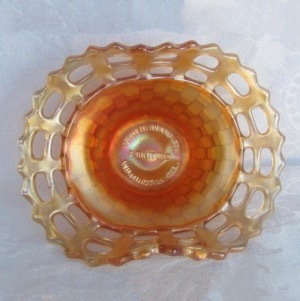 Pattern Description: Small bowls with a basketweave exterior and John H Brand advertising in the center. 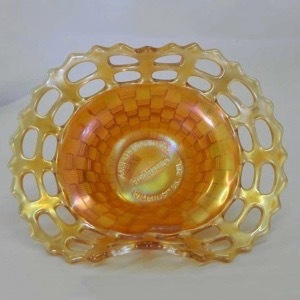 The webbing of the basketweave has two rows of open spaces at the outer edge. 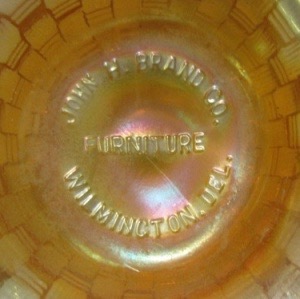 - John H brand Co Furniture Wilmington, Del.